"The task of shooting the basketball is one of the more difficult skills in all of sports. 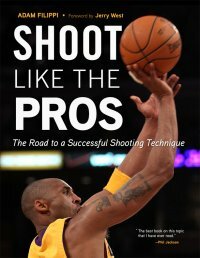 I think Adam Filippis book “Shoot like the Pros” is the best on this topic that I have ever read. He refines the technique into basic movements from the feet to the final release at the fingers in very basic terms” – Phil Jackson, Head Coach Los Angeles Lakers-Hall of Fame Coach. Thank you and enjoy the book!